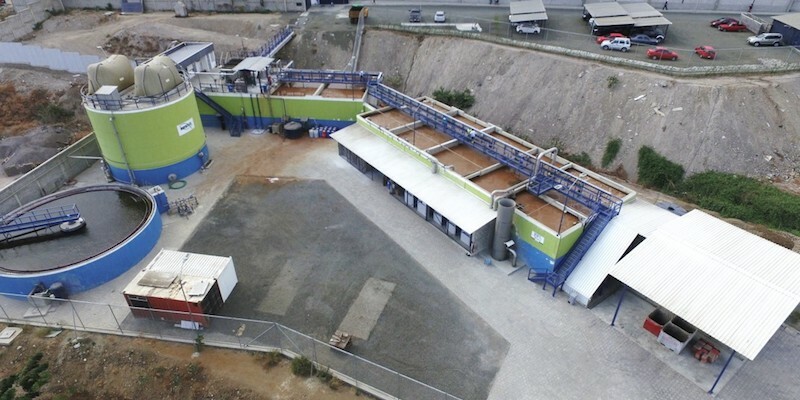 Fluence upgraded the wastewater treatment capabilities of Eurofish’s processing plant in Manta, Ecuador, without interrupting normal operations. In today’s world, sustainability is a major goal of all businesses. In industries from mining and petrochemical to pharmaceutical and food processing, companies are driven to make their operations more efficient, both to meet regulations and to help their bottom line. This case study shows how Fluence helped a fish processing plant in Ecuador upgrade its wastewater treatment facility to improve the quality of its effluents, reduce disposable waste, and save thousands in energy costs – all without interrupting its operations. The Eurofish Group is a leading firm in Ecuador’s tuna industry as well as in the global market. Eurofish processes roughly 200 tons of tuna a day, predominantly for international export, including for brands such as Chicken of the Sea and Bumble Bee. Lately, the company has been moving into processing other types of fish, including sardines and mackerel. Eurofish owns a processing factory in Manta, Ecuador, a large city on the Pacific Ocean that is a center for fishing and seafood processing. To increase production and improve wastewater treatment quality, Eurofish contacted Fluence to upgrade the facility, adding waste-to-energy to the plant’s capabilities. This was the first plant built by Fluence in Ecuador. One of the main challenges was the need to build and commission the new facility without interrupting existing operations, no small feat since a complete renovation of the wastewater treatment plant was required. Previously, the facility used only a dissolved-air-flotation pretreatment to clarify effluent before discharge. To accommodate both existing operations and the intended expansion, the system’s total flow rate had to be increased from 600 to 1,300 m3/d. Another significant technical challenge was the wastewater quality, which is tough to treat because of high levels of organic/biological compounds, including nitrogen and denatured proteins. The chemical oxygen demand is about 8,000 mg/l. This renovation gave Eurofish a chance to make other improvements benefitting the operation and the surrounding community: reducing disposal costs, meeting national environmental standards – and reducing odors. Although this was the first time Fluence worked with wastewater from fish processing, the company relied upon its extensive experience in designing treatments for meat processors to design the appropriate treatment process. The renovation of the existing plant began with the addition of a new dissolved air flotation system (DAF) and other wastewater treatments. Then, besides improving basic wastewater treatment, Fluence added an anaerobic digester to treat sludge and produce biogas, which the facility uses as fuel for its boiler, generating steam used within the processing plant. Fish processing at the plant generates approximately 1,300 m3/d of wastewater, and its treatment generates 1,300 m3/d of methane. Before construction began, Fluence built a pilot plant on site to test the processes. All the phases were fully tested before the renovation and construction started. A lab was built with all the instrumentation needed to monitor water quality on an ongoing basis. The plant has been in operation since March 2016, making it the first complete industrial wastewater treatment plant in Ecuador. The facility can efficiently treat wastewater with very high levels of nitrogen and chemical oxygen demand. Eurofish has reduced its sludge waste volume by 75% since the new facility went online. The improved quality of treated wastewater meets the Unified Text for Secondary Environment Legislation (TULAS), Ecuador’s national standards for environmental compliance. With the addition of waste-to-energy technology, Eurofish has reduced its wastewater treatment costs by 50% and its energy consumption by 35-40%. This highly efficient renewable energy source saves Eurofish more than $120,000 a year. Dissolved Air Flotation, Anaerobic Digestion, Double-Stage Nitrification-Denitrification, Final Clarification. Download whitepaper to learn more about this project.